Let’s face it…we don’t always take care of our yards the way we should. When left unchecked, trees can grow into odd shapes. Older, heavier trees will split or even break due to their enormous weight. Multi-trunked trees can also become weighty, with one-sided branches that begin to pull the trunks away from each other. All of these cases above can create a dangerous situation! At any time, branches or whole trees can break, which may lead to removing the whole tree and/or damage to your home, vehicles or other landscaping. Do any of the scenarios above sound familiar? If so, your tree could benefit from either tree cabling or tree bracing! Wichita Tree regularly cables and braces trees in order to support the tree’s structure. So, even if you have a tree that you think is a lost cause, let us take a look. You may be surprised by what we can offer! Caring for trees as they grow will not only keep them healthy, but it will also ensure that they grow into a strong, aesthetically pleasing shape! Wichita Tree knows all about tree cabling and tree bracing, so don’t hesitate to call us for a free evaluation. We can tell you which choice is the right one for you! Tree cabling is employed when the tree has branches that are healthy, but they pose a breakage risk because of the direction they are growing. 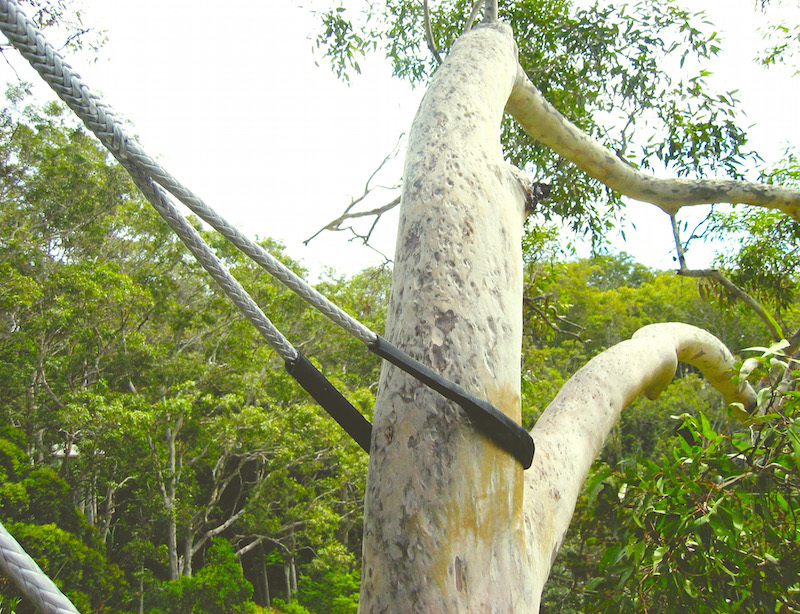 In this case, our tree service specialists would cable those branches to stronger ones in higher parts of the tree. On the other hand, tree bracing is done when you first notice a tree is splitting. To support the tree and keep the splitting from getting worse, we would insert rods and cables through sections of the tree in order to bind it together. 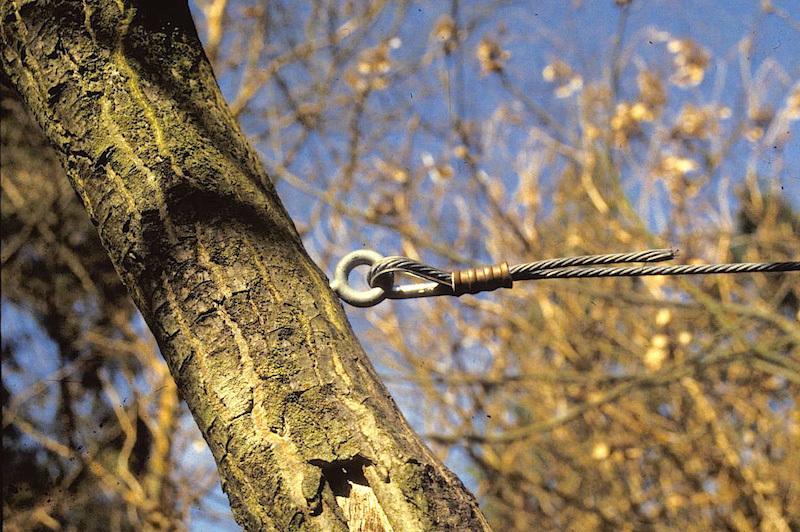 One last thing… When you choose tree cabling or tree bracing as the best option for your tree, regular maintenance will be required to check that the rods and cables are doing their jobs! Luckily, Wichita Tree has certified arborists who handle all of our inspections! Part of the reason for our success is following up on work we have done in order to make sure the job is done right and that the customer is satisfied. Please call today if you think our tree cabling or tree bracing services may be the solution you’re looking for! We will have a tree service specialist come out and take a look for free! If you are interested in knowing more about how Cabling and Bracing might be the solution for your trees, give Wichita Tree a call (316-226-8733) or fill out the Contact Form above!